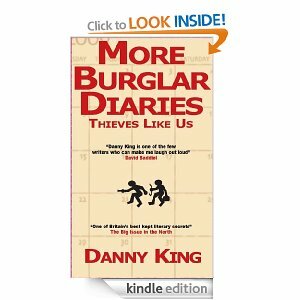 More Burglar Diaries won't have you pondering the infinite. It won't bring you any answers to the deep philosophical question of life such as: Why is there never a complete pair of socks in my sock drawer? Why does the wife keep moving everything around? Where the feck is the TV remote? And finally it won't tell you why Jeremy Clarkson and Piers Morgan are such a pair of annoying t*ats. What it will do, if you're not careful, is have you spraying the tuna sandwich you were eating across the nearest wall or hapless old lady who just happens to be in front of you on the bus (sorry Ethel). Bex and his hapless sidekick Ollie blunder from one botched burglary to another creating mayhem as they go. The dialogue is smart and hilarious. In particular Bex's wisecracks guarantee more than a chortle a chapter. The running gags are excellent. On the face of it a lighthearted comical read but King effortlessly weaves in little twists to the various jobs the boys find themselves on. A great mix of recurring characters, witty banter and slapstick humour.